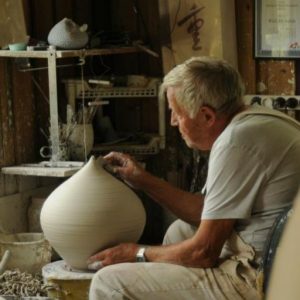 Willi Michalski is a master ceramist who has been creating unique ceramic pieces in his Australian studio for more than 30 years. Last week on our Instagram we posted a photo of one of Willi’s longtime supporters holding a stack of small cereal bowls (click to see the pic – @willimichalski – if your not already following us, you should be!) and the internet went wild! Nesting bowls, it would appear, are the next big thing! 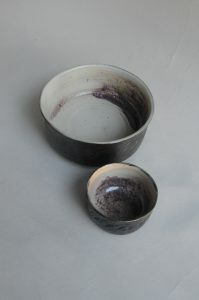 So, because we like to give the people what they want, here is another gorgeous pair of bowls, nesting happily. 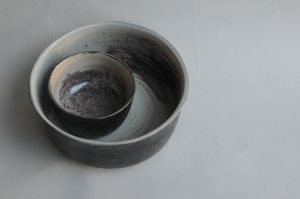 The bowls were wheel thrown by Willi Michalski, a master ceramicist with over 30 years experience turning out stunning and unique pieces such as these. 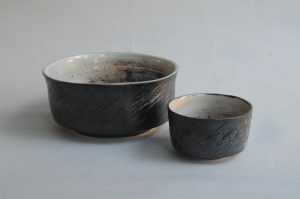 Both bowls bear the maker’s mark and the exterior is slightly roughly textured, as well as featuring a captivating matte black glaze. Shipping: Pick up is from Sydney’s Northern Beaches or shipping via Australia Post at additional cost. If you are not local to Sydney, please contact us for a shipping estimate. We ship worldwide. 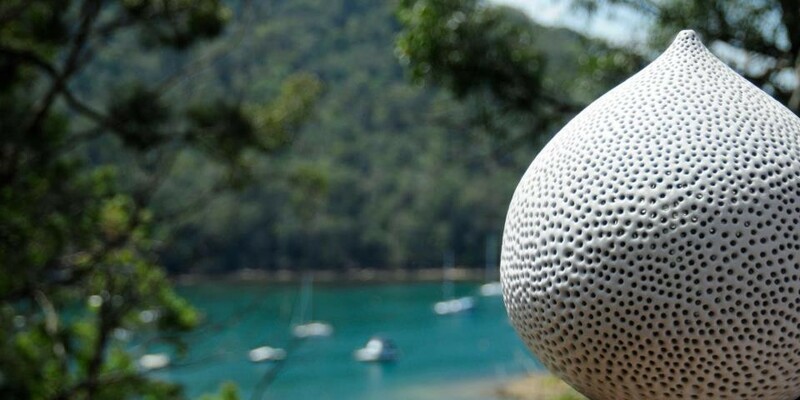 Willi Michalski Ceramics are individually hand-made by the artist in his Sydney studio. To commission a unique Willi Michalski Studio piece please CONTACT US. Copyright © 2019 Willi Michalski Ceramics. All Rights Reserved. The Matheson Theme by bavotasan.com.